Sequoia National Park is a HUGE park. If you look at a map, it takes up more space than a few states on the east coast. 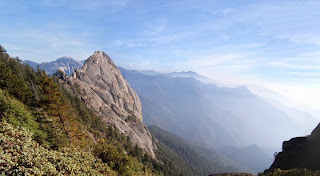 Most of Sequoia National Park is uninhabited wilderness, accessible only by foot or horseback. I could never hope to cover it in a blog post. 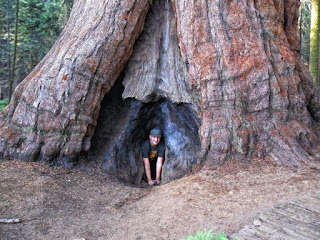 There are entire books written about Sequoia that don’t cover everything there is to do. The purpose of this blog post is to cover the essentials for a 2-3 day camping trip for the first timer. 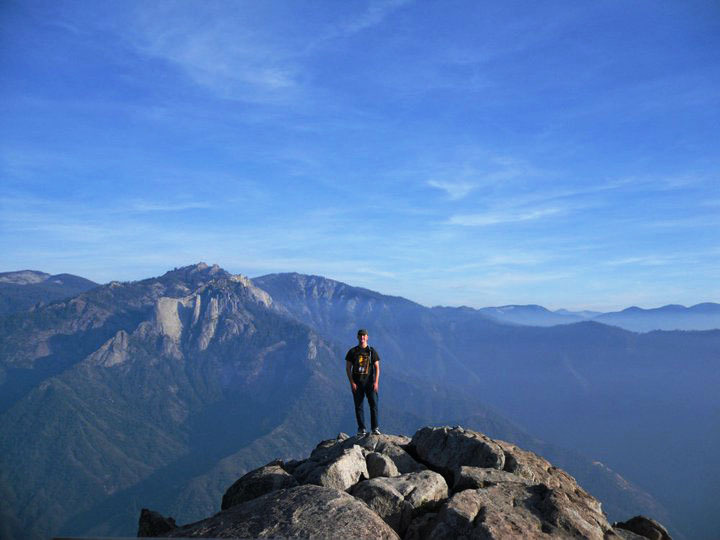 Sequoia National park is one of the best parks in the United States. I would easily rank it in the top 5 in the continental United States. (Yellowstone and Yosemite are my #1 and 2). 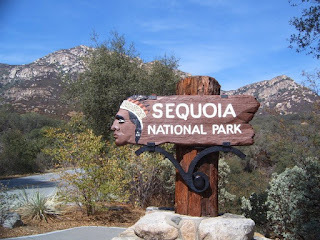 Sequoia National Park has caves, canyons, giant redwood trees, white water rafting, waterfalls, world class fishing, swimming holes, and endless opportunities for hiking and backcountry camping. 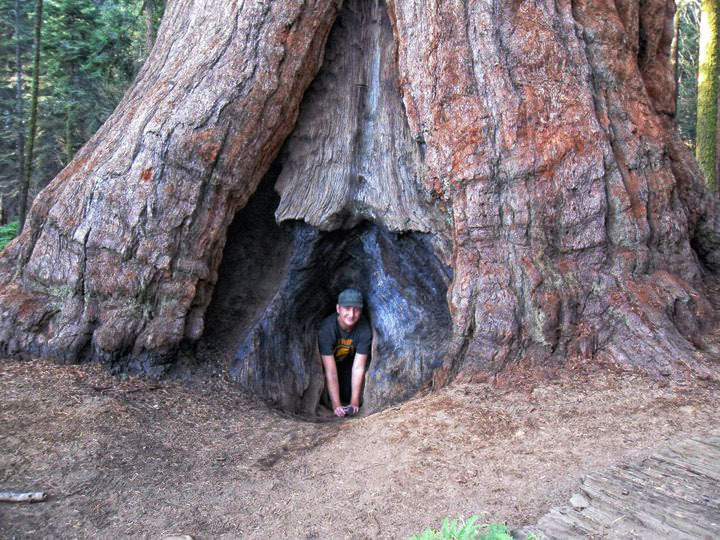 Most people visit Sequoia National Park in the summer. The roadside campgrounds and the lodge fill up months in advance. The summer weekends can be absolutely hectic. If I were planning a trip for the first time, I would book for a weekday trip in September or early October when the weather is perfect and the crowds have thinned. Daytime temps for September range from 60-80, nights range about 20 degrees cooler. The park is located at mountain elevations, so it can get chilly at night. The chance for rain at this time of year is basically zero. 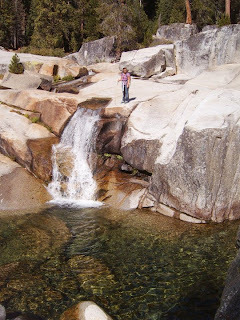 The one and only disadvantage to visiting this time of year is that the water levels will be low, so the waterfalls will likely be less impressive. *Crystal Cave: a 15$ ticket will get you a 45 minute tour of the cave. Its only open during the summer. Bring a jacket. *Moro Rock: Moro Rock is a giant rock that overlooks the Great Western Divide. You hike a 400 step staircase carved into the face of the granite for the view of a lifetime. This is my favorite spot in the park. Once you reach the summit, climb under the railing and find some privacy on a secret lower tier that most people never see. Don’t fall off the edge or you’ll fall a few thousand feet straight down until you hit the valley floor. *Tunnel Tree and Auto Log: These are both located along the road to Moro Rock. This is the spot where you see people driving through the giant fallen tree. 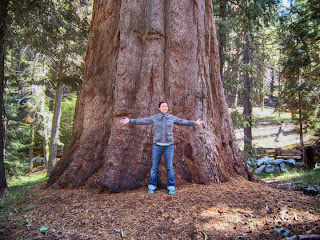 *General Sherman: This is the largest tree on earth. It’s well over 2,000 years old. The base of the tree is fenced off to keep tourists from trampling the dirt around the base of the tree. The root systems of these monster trees are surprisingly small.